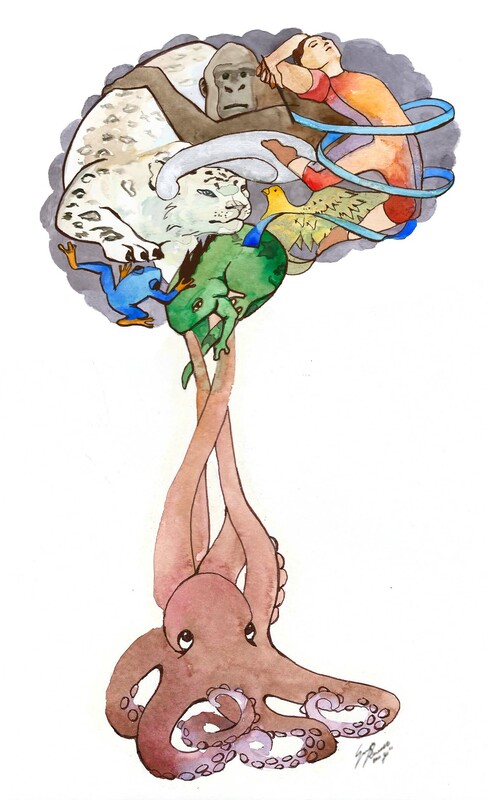 Goal: Visual Aid for explaining parts of the brain and how they work with each other. Eg: Reptilian Complex, the Paleomammalian complex (limbic system), and the Neomammalian complex (neocortex). Represented by a reptile, and mammals. For use in seminars, and online website.